I Kent His Faither: The Son(s) Sing Song(s)… | Scots Whay Hae! In my recent conversation with Mark Buckland (see Publish And Be Damned: In Conversation With Mark B…) we agreed that there may be more great music out at the moment than there has ever been. 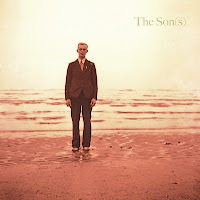 As if solely to prove this point, here come The Son(s) with their debut album of the same name. There’s a lot already been said about The Son(s) before I got to them, almost all of it incredibly reverential. I try and be as open minded as possible but when something sounds too good to be true…well there’s still a small voice in my head that says that there’s got to be a downside. Luckily I rarely listen to that voice. On Saturday night I stuck the album on while reading reminiscences of the 25 year old The Queen Is Dead, which in terms of reviewing a new album is really unfair. The fact that I wasn’t swayed to reach for The Smiths prompted by feelings of nostalgia speaks well of the album’s initial impact. The Son(s) finished before I realised it, and I stuck it on again immediately to make sure my ears were not deceiving me. This time I had a closer listen as I tried to work out exactly what I thought. It reminds of many of my favourite records. Bonnie Prince Billy, Calexico, Fleet Foxes, The Decemberists, Willard Grant Conspiracy, Giant Sand, the more recent Tindersticks, these are just a few of the reference points I could make out, but there is a lot more going on in this record than it first appears. Some of the melodies reminded me of Nick Drake, and the way much of the music is layered echoes Midlake and Arcade Fire. 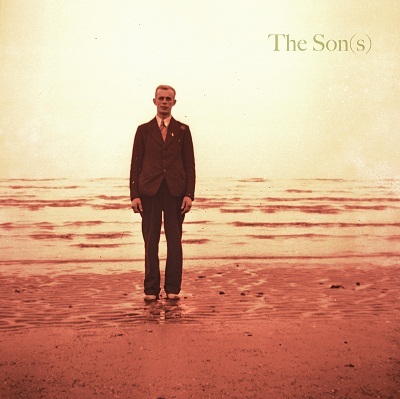 The album that I wanted to play after it was Pete Yorn’s musicforthemorningafter, which doesn’t mean they are similar albums, although they are in places, but The Son(s) made me feel as Yorn’s debut did when I first heard it in 2001. It was only after feeling pleased with myself for working all of these references out that I realised I was only on the third play and I already felt as if I’d had owned, and played, this album for years. It has a timeless feel to it that is not contrived but natural. Most music either tries to be completely contemporary or harks back to the past, often attempting both. The Son(s) sounds like it belongs to this time and every time. It is a classic album in the sense that it is made by people(s) who don’t just understand music, or even simply love music, but completely respect it. If any of the above applies to you then may I recommend The Son(s) and The Son(s). It really is a wee bit special. There is a certain mythology surrounding The Son(s), which the slightly unwieldy bracketed ‘s’ hints at. As I understand it there were some, and now there is one. So they say. Some critics appear determined to solve the puzzle, but if people want to maintain an air of mystery then I’m comfortable with that. I’ve never understood this desire that some people have to know everything about the bands they listen to. Often this view comes from journalists who feel they have nothing to write about unless they know the age, height and sexual predilections of those they are asked to consider. I remember some music critics raged against the young Belle and Sebastian because the band did not appear on their record sleeves or press releases. They claimed that this let the fans down, but the fans were fine. They got it. ‘But what shall we write about?’ I can imagine them crying. It’s just a thought, but what about the music?